After decades and oceans apart, the men came together as adults to learn they dressed alike, walked alike, and had the same hot temper and quirks, including a fondness for scaring others with an explosively loud sneeze. They both read books from back to front, loved butter and spicy food and flushed the toilet before they used it. Of 137 pairs of separated twins in the two-decade University of Minnesota study, 56 were fraternal and 81 were identical. Yufe and his brother, Oskar Stohr, stood out because of their dramatically dissimilar backgrounds. Born in Port of Spain, Trinidad, on Jan. 16, 1933, they were 6 months old when their parents split up. Oskar went to Germany with his Catholic mother, Elizabeth, and grew up as the Nazis rose to power. Like his fellow students, he greeted the school principal with “Heil, Hitler,” and was warned by his grandmother to never let on that his father, Joseph, was Jewish. As an act of survival, Oskar joined the Hitler Youth movement. For Jack, however, the war was a distant threat, experienced mainly through newsreels he saw growing up in Trinidad with their father. His childhood was difficult in other ways. “As a white, red-headed boy in a predominantly black and Indian culture, he stood out a lot and was beat up a lot,” said his son, Kenneth. “He was constantly having to prove himself.” Luckily, he was highly competitive and and excelled athletically. In 1954, before heading to the United States where his father had settled, he decided to stop in Germany to look up his brother. They were 21 when they met for the first time as adults. The reunion did not go well. 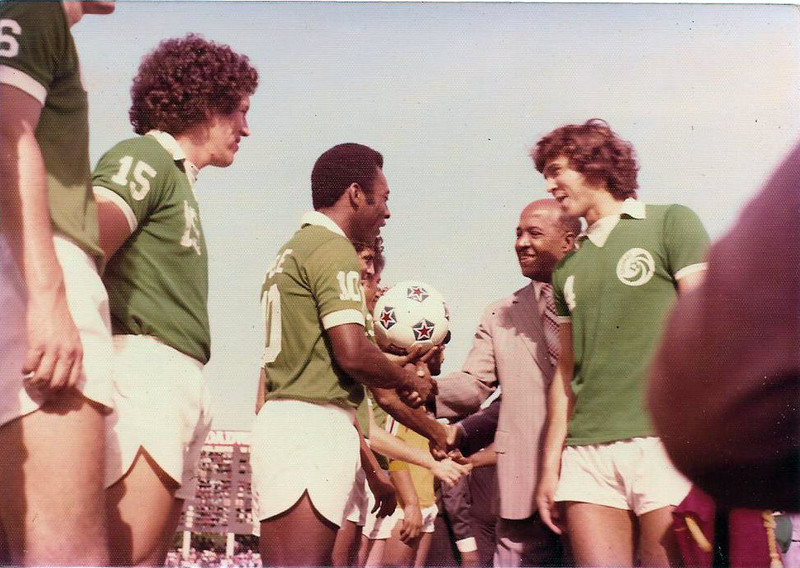 Because of the language barrier, “there was a lot of smiling but not much to say,” Yufe recalled in The Times in 1979. He also remembered that his brother, worried about anti-Semitic family members, insisted he not mention his Jewish heritage and hid the luggage tags that showed Yufe had been in Israel. But there was something more upsetting than their differences. When they met at the train station, Jack and Oskar were chagrined to find that not only did they have the same neat mustaches and receding hairlines, they were wearing similar wire-rimmed glasses and matching, light-colored sports jackets. In early 1979, Yufe’s then-wife, Ona, showed him a magazine article about the “Jim Twins,” a pair of long-separated Ohio twins who were each named Jim by their respective adoptive parents. Like Yufe and his brother, Jim Springer and Jim Lewis found each other as adults and were astounded by the parallels in their lives, including similar jobs in law enforcement and ex-wives with the same first name. The two Jims had become the first subjects of the Minnesota twins study. Yufe was intrigued and thought he and Oskar should also participate. “I thought it perhaps would be a good idea...to meet in neutral territory to hash out all this, all the hidden feelings,” he recalled in an interview with The Times in 1979. The researchers jumped at the chance and invited them to Minnesota for a week. Yufe and Stohr became the seventh set of twins to enter the study. Bouchard found that, despite their radically opposite upbringings, they were strikingly similar in temperament, rate of speech and other characteristics. Although the brothers got to know one another much better through the study and subsequent visits, their relationship never lost its prickly edge. Oskar had the same competitive nature, and the rivalry between them “was just nonstop,” Kenneth Yufe said Tuesday, recalling the time the two men even battled to see who had the best technique for cleaning a dirty car window. “They were repelled and fascinated by each other. They could not let go of the twinship,” she said. Stohr, who spent many years working in mines, died from lung cancer in 1997. Yufe did not attend the funeral, in part because he worried that he would only be a painful reminder of his twin’s death. In San Ysidro, Yufe built a successful business selling blue jeans and work boots to farmworkers from the back of his van. He eventually opened a store, El Progreso, and went to work every day until he was 80. Yufe, whose first marriage ended in divorce, is survived by his wife, Ruth; their children, Kenneth and Ani; two children from his first marriage, Hobi Reader and Devra Gregory; two stepsons, Renee and Enrique Vega; sisters Natasha and Sonja; a half-brother, Peter; and four grandchildren. What he did know was that he could not blame his brother for the circumstances that put them on opposite sides of World War II. For seven decades, Cubans have streamed through the gates of Estadio Latinoamericano to watch baseball. Nestled in a neighborhood of narrow streets and pastel homes, it is the country’s largest stadium, with room for 55,000 fans. But these days, one of the gates behind home plate serves another purpose: makeshift soccer goal. On most weekday evenings, when the ballpark is idle, children gather on the street beside the closed entrance for a half-field, pickup soccer game. Most play in sneakers, others in sandals or bare feet. All take aim at the rectangular gate, scoring only when the tattered ball hits the metal bars. “You can start a soccer game anywhere,” said Xavier Toledo, 24, during a quick break in play. 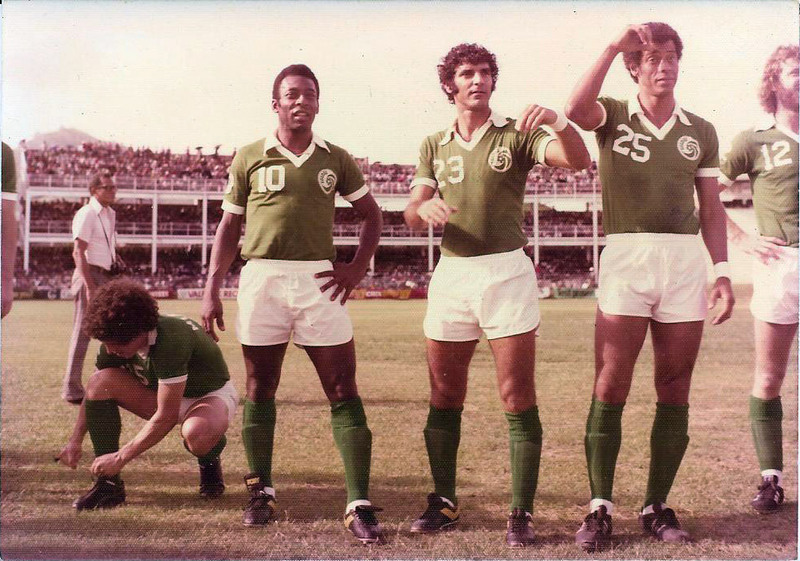 On an island where baseball is as embedded in the culture as rumba and cigars, soccer is more than just banging on the gate. It is emerging as the sport of choice for young people, a generational shift that highlights the global nature of the threat to baseball’s future. While baseball remains a national passion here, the game’s ubiquity in public spaces and on television is giving way to soccer to a degree that was unimaginable even five years ago. 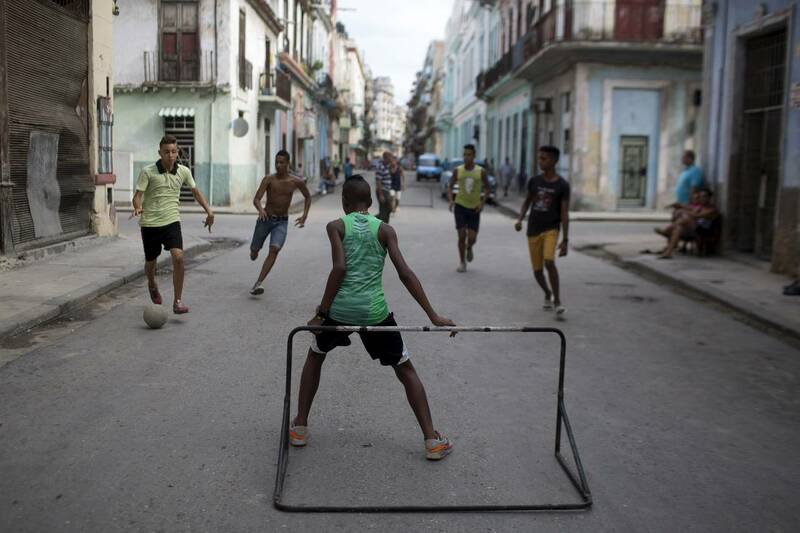 Throughout Havana, casual soccer games occupy streets, sidewalks and parks that have long been the near-exclusive domain of informal variations of baseball. FC Barcelona and other European club stickers adorn the backs of cars and pedicabs. Even at the city’s Parque Central, where men famously gather daily to engage in high-decibel debates about baseball, soccer is creeping into the conversation. On a recent afternoon, a few dozen men split into two huddles. While one group talked baseball, the other shouted about soccer topics ranging from the Champions League final to the poor quality of fields in Cuba. The extent of the change is difficult to quantify. Officials from the Cuban government ministry that oversees sports and recreation declined to comment. But even Cuban baseball aficionados don’t deny that the sport has lost some of its traditional grip on young people. And it isn’t strictly a Cuban issue any more than it is an American one. In Japan, another traditional hotbed of the sport, the number of boys playing baseball for their junior high school teams—a primary outlet for casual participation there—fell by 28% between 2009 and 2014, according to official figures. Japanese amateur baseball officials say the game is losing the casual young player to soccer. And with its audience skewing increasingly older, the Japanese professional league is making a bigger push to promote the game among young people. From the outside looking in, this would seem like a boom time for baseball in Cuba. Since 2012, Major League Baseball teams have spent more than $400 million on Cuban free agents. Last year’s All-Star Game featured five Cuban-born players, the most in 40 years, including Los Angeles Dodgers outfielder Yasiel Puig and Chicago White Sox slugger Jose Abreu. Eighteen Cuban-born players appeared on MLB rosters at the start of this season, the third-highest total among countries outside the U.S. As the U.S. and Cuban governments work to reestablish diplomatic ties, MLB is hoping to play a spring training game on the island in 2016. 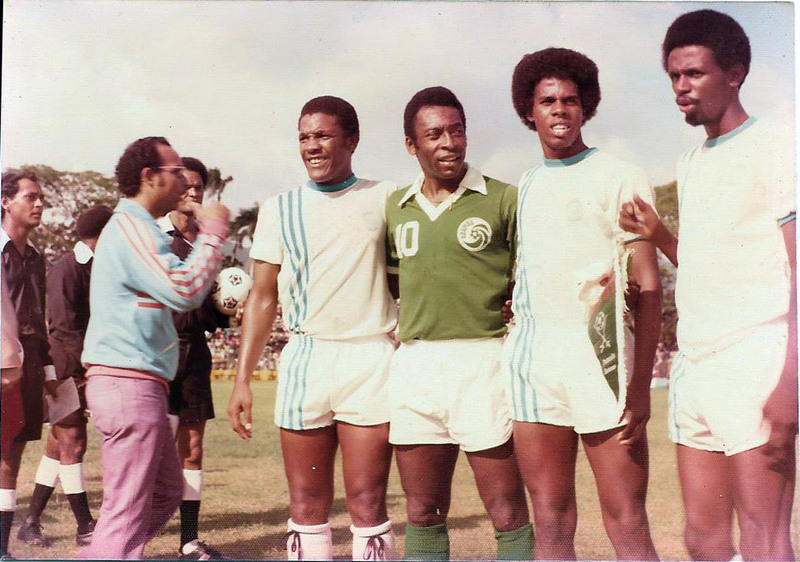 By contrast, the island has produced few notable soccer players. 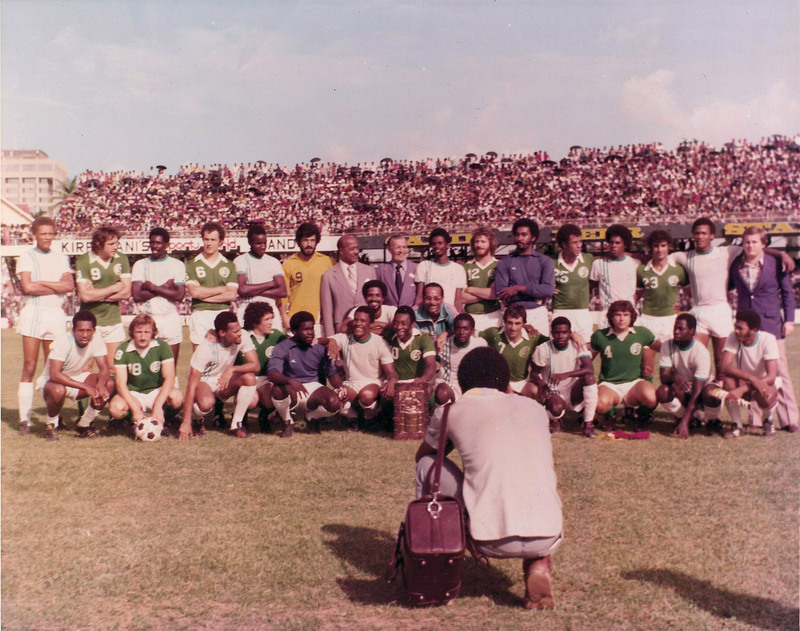 Its national team hasn’t appeared in the World Cup since 1938. But in a country where most people don’t have Internet access—according to the White House, Cuba has an Internet penetration of about 5%—television is the primary means by which they connect to the world. In that regard, Cuban-born MLB stars might as well be playing on Pluto. Cuba’s state-run television network shows a recording of one MLB game every Sunday, typically a few days after it is played. But before the recent thaw in relations with the U.S., games involving so-called defectors were never shown. A game last month featuring Cuban-born Kansas City Royals slugger Kendrys Morales was the first such game broadcast on state TV. Meanwhile, the network shows several European soccer matches a week. The difference in exposure has given soccer stars such as Lionel Messi, the iconic Barcelona forward, more cachet than any Cuban MLB player. Baseball in Cuba dates to the 1860s, when it was introduced by visiting American sailors. Fidel Castro, the retired Cuban leader, is an avid fan of the sport. And for most of the past century, young Cubans have played it by any means they could devise. Outside the network of state-run academies geared toward more serious players, it has taken on various forms as a neighborhood game. One is called four corners, which requires neither bats nor gloves. Players smack the ball into play with their bare hands. In another version, batters swing at a bottle cap with a stick. These informal games make baseball accessible far beyond the boundaries of actual baseball fields. But such traditions are increasingly being eclipsed by makeshift soccer games, some of which use a pair of rocks to mark imaginary goal posts. 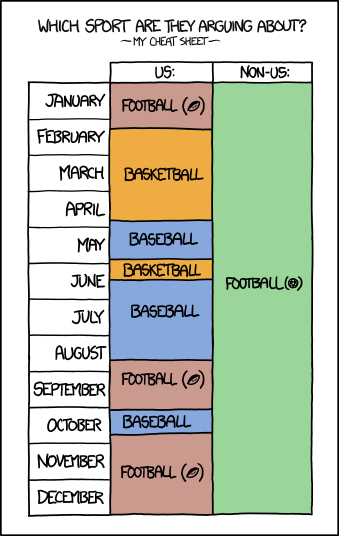 And organized baseball is suffering from a shortage of equipment. Ihosvany Gallego, an 81-year-old former pitcher in the Cuban winter league who has been coaching youth baseball for nearly 50 years, said bats, gloves and other gear traditionally provided by the government have become scarce. Even without competition from other sports, Gallego said the children he coaches are quicker to lose patience with the slower pace of baseball than past generations. To keep them engaged, he is increasingly working other sports into their training, such as volleyball and swimming. “They get bored,” he said. Like many older Cubans, Gallego believes baseball will forever remain the island’s premier sport. He dismissed the soccer fixation as a cult of celebrity, in which children wear the jerseys of European players whose field positions they can’t even name. But for some younger Cubans, the nuances of the sport are beside the point. To them, baseball is an emblem of a fading era of Cuban nationalism. Soccer is a vehicle for them to feel more a part of the wider world. “It’s a generational thing,” said Humberto Garcia, 24, standing on the sideline of an evening soccer game at Ciudad Deportiva, Havana’s sprawling recreational sports park. Garcia recalled his childhood. Back then, the area of the park where he stood was used for baseball. His favorite sports team was the Seattle Mariners. His idol was Ken Griffey Jr. He played the game until he was 13. Then, he started watching soccer on television. It has since replaced baseball as his primary sports fixation. —George Nishiyama contributed to this article. death and that he had assumed the throne. As usual, any updates/scores, shout-outs, reports, predictions, views, etc, on the Mexico WNT vs T&T WNT 2014 CONCACAF Women's Championship 3rd place match/2015 World Cup Qualifiers game at PPL Park, Chester, PA 3:00 PM EDT on the 26th of October 2014 will be posted here, this way, we can maintain the message board and not make it look too scrappy with un-necessary or related headlines and postings on game day. Ayanna Russell, Rhea Belgrave, Arin King, Liana Hinds, Brianna Ryce, Khadisha Debessette, Lauren Hutchinson, Patrice Superville. Khadidra Debessette, Maylee Attin Johnson, Janine Francois, Karyn Forbes, Anique Walker. Mariah Shade, Dernelle Mascall, Tasha St Louis, Ahkeela Mollon, Kennya Cordner. As usual, any updates/scores, shout-outs, reports, predictions, views, etc, on the Costa Rica WNT vs T&T WNT 2014 CONCACAF Women's Championship semi-final/2015 World Cup Qualifiers game at PPL Park, Chester, PA 4:30 PM EDT on the 24th of October 2014 will be posted here, this way, we can maintain the message board and not make it look too scrappy with un-necessary or related headlines and postings on game day. Junkanoo is way too far ahead. Trini is at 5 at the moment. TRINIDAD AND Tobago gained a few mentions during the FIFA and Concacaf Congress’ held at the Sheraton Hotel in Sao Paulo, Brazil last week. Following its displays against Argentina and Iran earlier this week, the twin-island republic has gained valuable recognition and much good has been said about the team’s efforts. Among those sending commendation TT’s way was Sunil Gulati, president of the United States Soccer Federation and member of the FIFA Executive Committee. Gulati met with Trinidad and Tobago Football Association’s general secretary Sheldon Phillips at the Concacaf Congress. “It’s not just about the World Cup. The world is focussed right now on this tournament. But we have growth in MLS, in player registrations, coaches, referees, television audiences and it’s on all those fronts and hopefully we can continue that trend,” Gulati added. Commenting on the TT team’s recent outings, he added, “They (Trinidad and Tobago) are making progress I think that the organisation and the team is going to get better over time. And clearly with Raymond and Sheldon there I think you will see a lot of positive changes. Tim Kee, the TTFA president who was in Sao Paulo for the Congress, said he was quite pleased with the run of events, noting the emphasis on development by Concacaf. “The news that is of interest to me and should of course be the same to the TTFA is the decision by Concacaf to introduce these development programmes. "FIFA seeded eight top teams and drew them to separate groups, but after that, geography, not skill, dictated the rest: teams from the same continent cannot be drawn into the same group, with the exception of European teams – a maximum of two of them per group is allowed. For instance, Brazil, given automatic elite status as the host country, had an equal chance of drawing the United States (ranked No. 13 at the time) as drawing Honduras (ranked No. 34) simply because both teams are from North America. Or Spain could just as likely have drawn Ghana as Cameroon (No. 59 at the time, lowest in the tournament). Ultimately, this method produces groups with a huge variance in strength, and this year’s tournament is no different. Julien Guyon, a French mathematician, has come up with a method of drawing World Cup teams that produces more balanced groups. In the table above, we’ve made an interactive version of his method along with FIFA‘s so you can see for yourself. The Guyon method isn’t better every single time, but on average, the groups are much more balanced. The Guyon method differs from FIFA’s in a very simple way: All the teams are seeded, according to their world ranking, 1 through 32. The teams are then assigned groups in a manner similar to any other large tournament, like the N.C.A.A. basketball tournaments, with an attempt to group higher-rated teams with lower-rated ones." Goal at 54:10 in the video in the 40' of the match. Portland, Ore. – The San Jose Earthquakes wrapped up their appearance at the Rose City Invitational with a 1-0 win against Portmore United at Providence Park on Saturday. Cordell Cato’s goal in the 39th minute was the difference as San Jose finished the tournament 2-1-0 with a pair of 1-0 wins. The Earthquakes dominated the run of play, out-shooting the Jamaican squad 20-10. Clarence Goodson nearly opened the scoring in the 25th minute. Shea Salinas whipped a corner kick into the mix where Goodson leapt for a powerful header that Portmore United goalkeeper Kemar Foster dove to save. Jean-Baptiste Pierazzi was the next player to force a save from Foster. Cordell Cato created the chance with a nifty move near the edge of the area, crossing to the near post where Pierazzi pounded a diving header that would have found the net if not for another diving effort from Foster. Minutes later, Victor Bernardez continued San Jose’s assault on Portmore United’s goal. This time, Bernardez rose to win a header off a Salinas free kick, directing his shot on target, but right at Foster. Cato broke the stalemate in the 39th minute with a tap-in from close range. Bernardez played a corner short to Salinas, who then beat his man with a touch to his right and sent a cross to the far post. Adam Jahn went up for the header for San Jose, but his attempt at goal deflected off a Portmore United defender and to the feat of Cato. The Earthquakes had their first golden chance of the second half in the 72nd minute as Sam Cronin found Chris Wondolowski free on the right side of the box. Wondolowski took a touch and then unleashed from 15 yards out, but the shot was straight at Foster. The Earthquakes close their preseason against Sacramento Republic FC on Wednesday, March 5 at CSU Stanislaus’ Warrior Stadium. Kickoff is 7 p.m. PT with tickets available at the gate on matchday. PANAMA CITY -- U.S. Soccer Federation President Sunil Gulati was elected Friday to FIFA's executive committee, edging Mexican Football President Justino Compean by one vote. "We welcome the new committee member,'' FIFA President Joseph Blatter said. Gulati won 18-17 in a balloting at the congress of North and Central American and Caribbean Football in Panama City, USSF spokesman Neil Buethe said. Gulati was elected to a four-year term and will join soccer's 25-member ruling body at the FIFA Congress on May 30-31 in Mauritius. He will take the seat of fellow American Chuck Blazer, who had held it since 1997. Compean received a resounding endorsement of his colleagues in Central America and a group of islands in the Caribbean, including Cuba and Dominican Republic, but it was not enough. Blazer was elected 5-2 then by the CONCACAF executive committee following the death of Mexico's Guillermo Canedo. The 53-year-old Gulati, a teacher in the economics department at Columbia University, has been the USSF president since 2006. He was instrumental in building the U.S. national team that qualified for the 1990 World Cup after a 40-year absence and is now vying for its seventh straight berth in football's showcase. Gulati was an executive with the U.S. organizers of the 1994 World Cup, Major League Soccer, and the parent company of MLS's New England Revolution, and he served on the boards of the 1999 and 2003 Women's World Cups. He also helped run the failed bid to host the 2022 World Cup. "The game is growing tremendously in our region both on and off the field, and I hope to do my part to continue to expand the development of the game for both CONCACAF and FIFA,'' he said in a statement. Blazer, the former secretary general of CONCACAF, decided not to run for re-election. Two years ago, Blazer accused then-CONCACAF President Jack Warner of corruption. Warner and Blazer resigned later in December 2011 and a report from a CONCACAF committee Friday accused both of enriching themselves through fraud. Not sure for what - the article doesn't give details - is it another crack at the national team or a youth team or a club? "Auch nachdem er im vergangenen Jahr mit Trinidad und Tobago in der Qualifikation zur WM 2014 gescheitert ist, denkt er nicht an Ruhestand. Stattdessen hofft er auf einen neuen Vertrag in dem Karibik-Staat. - "Last year he failed to qualify T&T for the 2014 World Cup, but he isn't thinking of retirement. Instead he hopes to get a new contract in that Caribbean country." The Trinidad and Tobago Football Federation will host screening sessions in the coming weeks for players that will represent this country at the qualifying phase for the 2015 FIFA Under 17 Men’s World Cup. This was one of the initiatives to begin shortly according to technical director Anton Corneal as he explained that players at the Under 14 level will be selected from the screening sessions to start training as a National Under 14 team which will see them in place to contest the qualifiers for the Under 17 tournament by the time 2015 comes around. And according to Corneal, talks have already been held with former National Team player Leroy De Leon to have him on the panel of coaches that will work with the Under 14 players. Among the other names mentioned to work with the Under 14 team includes Dion La Foucade and Kevin Jeffrey, These are among others will be interim positions in the first instance. The TTFF has already started screening for Under 16 players to join an existing pool of players that will contest the upcoming Caribbean Football Union qualifiers towards the FIFA Under 17 Men’s World Cup in 2013. Over 110 players showed up for screening at the Ato Boldon Stadium last weekend. These players were selected from their respective regional associations and a group will be selected to join the existing pool of 35 players which will be overlooked by an interim staff comprising of past Under 17 head coach Sean Cooper, ex-national forward Leonson Lewis and Terrence Marcelle. Caribbean qualifying for the Under 17s will be played from July 3-10th with Trinidad hosting one of the groups which will see them come up against Suriname, British Virgin Islands and Guyana. The group winner of the five groups and the best second placed team will advance to the final CFU round in August. Similar screening will take place for Under 20 players at the Ato Boldon Stadium on Tuesday 10th and Thursday 12th April 2012 at 8:30 am ahead of the 9am start. Only players born in 1993 will be allowed to be part of the screening. Corneal mentioned that ex-National Under 20 World Cup team coach Bertille St Clair will be invited to work with the team in a mentor capacity. T&T will enter the Caribbean leg of qualification from July 23-31 in a group hosted by St Vincent/Grenadines along with Suriname and Guyana. The winner of the four preliminary groups and the best second placed team will advance to the final CFU round in Jamaica from November 3-11, 2012. The T&T Senior team will also resume preparations shortly ahead of the preliminary stage of the 2012 Caribbean Cup. Efforts are being made for the Senior Team to play against an African Nation in Port of Spain as part of the 50th Independence Anniversary and talks are also being held with the likes of Panama for upcoming friendly internationals. T&T will face Anguilla, St Martin and hosts St Kitts/Nevis in the opening group phase from September 24th-28th. The six group winners and runner ups will join Cuba, Grenada (host) and Guadeloupe (host) in the second round from October 20th-24th. The 2012 Caribbean Cups Finals will be played in Antigua and Barbuda with the hosts and defending champions Jamaica already through to that tournament from December 1-16th. “It’s a lot of football coming up and already we are putting measures in place especially for the youth teams as we prepare for these competitions,” Corneal told TTFF Media. “Talks are ongoing with some of our very distinguished past players who we believe can serve as mentors and bring their wealth of experience to the development of our players particularly at the youth level. We are particularly keen to begin work with the Under 14 age group which will be the team that will take us into qualification for the 2015 Under 17 World Cup. This is being done even prior to the next Under 17 World Cup in 2013,” Corneal added. The T&T Women’s programs are also ongoing with the Under 17 Women’s Team scheduled for training camps in Costa Rica and Fort Lauderdale ahead of the CONCACAF qualifiers in Guatemala City in May. The T&T Senior and Under 20 Women’s Team will also play matches against the visiting College of Charleston Women’s Team during a ten-day visit in May. MLS created this, but it also has some non US based videos on it. ‘The best of the best’. Even Machel Montano can’t resist the pull of the roti! Though everything is good, the curry duck can actually be described as bliss. The approach here is simple and fundamental, but well done. The buss-up-shot (paratha) is almost transparent when held up to light - thin, silky, heavenly. No beef, no boneless chicken available – boneless is for girls anyway. The homemade “mother in law” is the perfect pepper compliment, but go easy if it’s your first time. The place has character, beer and rum available, service is good but parking can be tricky. Variety for days! If you can’t find something you like here, chances are you are in the mood for KFC, not curry. The chicken is awesome, the goat is wonderful (and I’ve heard the shrimp is pretty good!) Three different types of pepper sauces are available - red, green and yellow. There are sides a-plenty to choose from, so don’t miss out on the pumpkin and bodi (long green beans). If you need some advice ask Shianne herself as she is often there and on hand to tell you all about her favourite cricket stars. Good character, great food, no alcohol, and terrible parking. This one is probably one of the more unassuming locations for a truly great roti shop - hidden amongst a strip of dive bars in the midst of Petit Valley and is referred to as one of the finest roti’s in the country. Don’t be afraid to wind your way through the drunks and homeless folk that sometimes decorate the front - this is a true roti hot spot. Once inside you may have a wait, but it’s worth it! To get to this place you must first park illegally on the side of the highway, make your way across a small bridge. No wrapped roti, they serve all buss up shot and meat, which means you get to sop up all that ‘nirvana of curry goodness’. All meats are top class. You also have the unique option of “dougla” (a curry/stew blend). Service is fast, no alcohol, a slight crisp on the buss up shot. The roti may look small but it packs pleeeenty goodness, and you are almost guaranteed that the gravy will run down your arm! Must drink a red solo with this roti for old time’s sake. Its a brilliant tribute to long time roti shops. Fast, inexpensive and straight to the delicious point! It’s impossible to talk about roti without mentioning The Original Patraj on Backchain Street in San Juan. Possibly the most famous roti shop in the country, it was established in the 1970s. A great roti shop in a legendary location, but be wary of the crowd. The line can stretch from the front to the parking lot. Directly opposite Patraj is Sylvie’s. A bustling roti shop that some say surpasses the most famous roti shop of all. Possibly it’s because their batches are smaller and the roti just as soft and silky as it’s meant to be, this place is good! Try the shrimp roti with their home made pepper sauce and you’ll find out exactly why people opt for her instead. Great curry! Completely worth the long line and the inevitable traffic. Inside you can expect some sketchy patrons, but sit tight, the boss lady has it all under control. Take it to go. It’s a little harder, but you also find very decent roti in Tobago! Rena is friendly Trini that makes a delicious roti with all the fixings, guaranteeing a filling meal. Delicious, rich curry but expect a wait. Possibly the most beautiful place in the world to eat a roti. Overlooking the world famous Mt Irvine waves, the lovely lady will make the whole roti right in front of you. She won’t make too many, so get there early and ask her to tell you about life in Tobago. Make sure to walk with something to drink while you wait. The roti will not disappoint, and the view is breathtaking. Football / Eve Names Final 20 For CONCACAF Olympic Qualifiers. Eve names final 20 for CONCACAF Olympic qualifiers. Trinidad and Tobago Olympic Men’s team head coach Angus Eve announced his final 20-man squad on Tuesday morning to contest the final round of CONCACAF qualifiers for the 2012 Olympics in Carson, California from this weekend. Eve addressed the team following a training session at the Lockhart Stadium training pitch, disclosing that St Ann’s Rangers forward Cameron Roget, Caledonia AIA defender Nuru Abdullah Muhammad, DirecTV North East Stars midfielder Kaydion Gabriel, Jean Luc Rochford (North East Stars), Marcus Joseph (T&TEC) and Caledonia AIA defender Aquil Selby would not be traveling on to California with the rest of the squad on Wednesday morning. Eve thanked the players for the efforts and other members of the team offered words of encouragement and thanked those for their contributions in the qualifying campaign up to this stage which will see T&T face Mexico on Friday followed by Panama (March 25th) and defending champions Honduras (March 27th). The two finalists from the eight team tournaments will advance to the 2012 Olympics. Defender Sheldon Bateau of Adam’s Construction San Juan Jabloteh will captain the team which includes seven defenders, seven midfielders, four forwards and two goalkeepers. Columbus Crew midfielder Kevan George and Cordell Cato of Seattle Sounders who both joined the team in Fort Lauderdale did sufficiently well to maintain their spots in the team for the tournament while Polish-based defender Mekeil Williams and Orlando City midfielder Kevin Molino will both join the team from Wednesday. In-form Caledonia AIA striker Jamal Gay is expected to spearhead the team’s attack with support from Shahdon Winchester, Sean De Silva, Trevin Caesar, Molino and Micah Lewis who turned 22 today (Tuesday). W Connection midfielder Jomal Williams at age 17 is the youngest member of the squad. Defender Selby was hampered by a niggling injury and as such had to be omitted from the final squad. “It was a difficult decision because all of the guys have been fantastic. There wasn’t difference in the players in the squad. I think we have a very strong unit going forward,” Eve told TTFF Media. “The difficult thing for me is that when we look back at the Pan American Games we did really well and here we have players who came in to strengthen the squad and that made the selection decisions a bit harder. 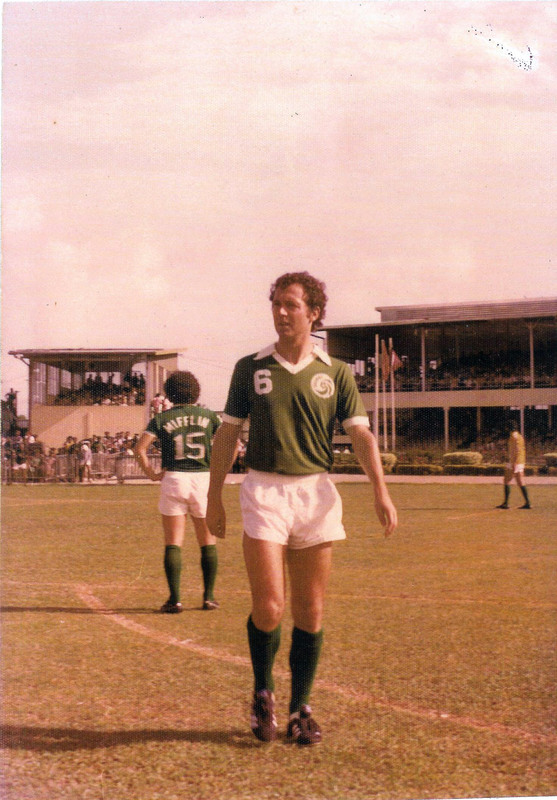 We didn’t have players like Daneil Cyrus, Sean De Silva and Kevan George and young Cato in the Pan Am Games. I must give credit to the players who helped to bring us this far and will still be part of the overall 35-man roster,” Eve added. Team skipper Bateau, during the team talk following the announcement of the squad told the players who will travel to Port of Spain on Wednesday to keep on aspiring to make the team again for the 2012 Olympics. Cyrus and Gay also reiterated that the final squad of players will try to ensure that there is another opportunity for the omitted players to be back in the fray in London. Andre Marchan (W Connection), Sheldon Clarke (Defence Force). Sheldon Bateau (capt) (San Juan Jabloteh), Leslie Russell (W Connection), Kareem Moses (St Ann’s Rangers), Mekeil Williams (Pogon Szczecin/POL), Curtis Gonzales (Defence Force), Daneil Cyrus (FC 1st Santa Rosa), Joevin Jones (W Connection). Sean De Silva (College of Charleston/USA), Jeromie Williams (North East Stars), Kevin Molino (Orlando City/USA), Kevan George (Columbus Crew/USA) Micah Lewis (Caledonia AIA), Jayson Joseph (T&TEC), Jomal Williams (W Connection). Jamal Gay (Caledonia AIA), Trevin Caesar (Caledonia AIA), Cordell Cato (Seattle Sounders/USA), Shahdon Winchester (W Connection). Ricardo Teixeira, the head of the Brazilian Football Confederation (CBF) for the past 22 years, has resigned for health reasons. The 64-year-old has also resigned as the head of the local organising committee for the 2014 World Cup in Brazil. Teixeira tendered his resignation in a letter that was read out to reporters at the CBF. Teixeira took a leave of absence for medical reasons last week, but the Brazilian federation announced he has left permanently to look after his health. The announcement came in a letter of resignation read by the new federation and organising committee president, former São Paulo governor José Maria Marin. "I leave the presidency of the CBF permanently with the sense of mission accomplished," Teixeira wrote in the letter. "It's not easy to preside passion. Football in our country is associated with two things: talent and disorganisation. When we win, talent is praised. When we lose, it's about disorganisation. I did what was within my reach, sacrificing my health. I was criticised in the losses and undervalued in the victories."